She can defend her kingdom and save the day with this costume from California Costumes! 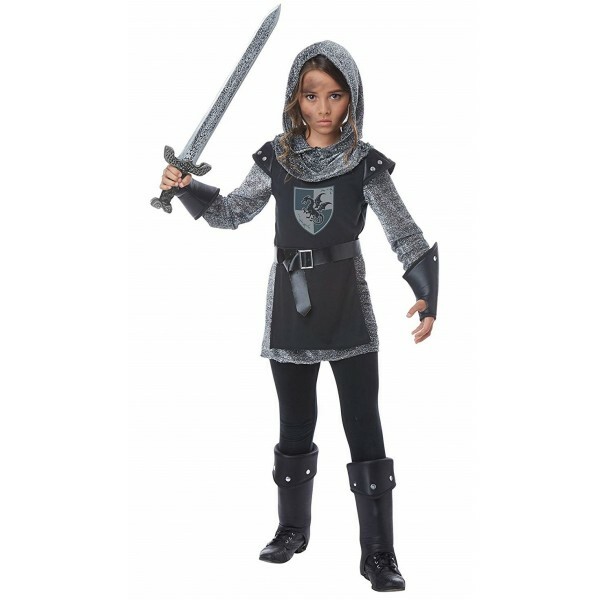 The Noble Knight costume features a tunic top made of combined black and faux chainmail fabric, decorated with flared studded shoulder pieces. 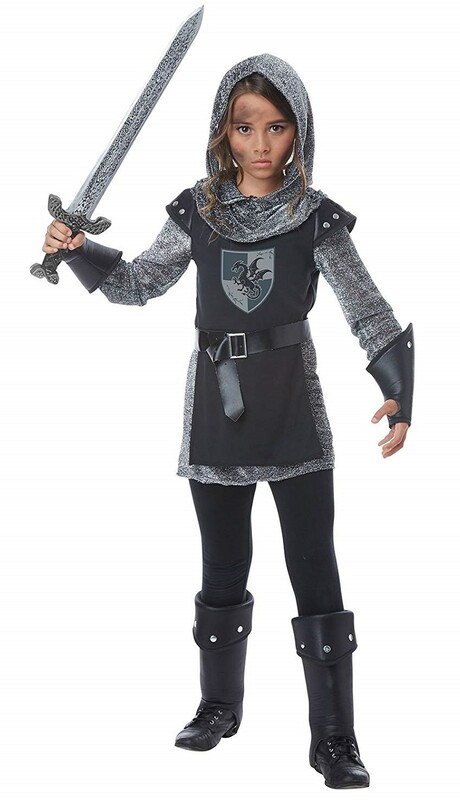 The set also comes with a faux chainmail hood, a pair of gauntlets, a belt with buckle, and a pair of boot tops. Please note: sword not included. For more fun and empowering dress-up option for all ages, visit our Costumes / Dress-Up Collection.